April 3, 2019 Randy Pitchford wants to make sure you know that 2K, not Gearbox, is calling the shots on Borderlands 3’s release platform. 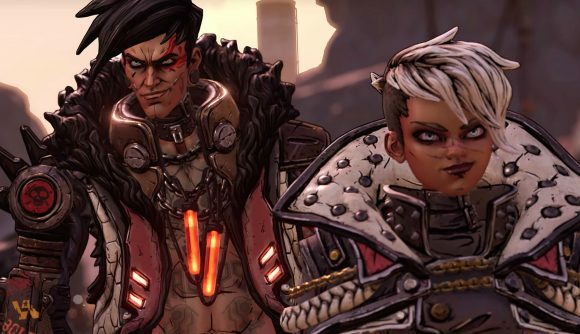 Earlier this week, after a Borderlands 3 leak suggested that the game would be an Epic Games store exclusive, developer Gearbox’s CEO, Randy Pitchford, refused to confirm where his new title would launch. What he did say, however, was that he’s generally on board with short exclusivity periods, but that it’s the game’s publisher, 2K, rather than anyone at Gearbox, that decides things like distribution, price, and platform partnerships. It’s looking increasingly like that’s damage control of Pitchford, but it also seems that that’s not really working. Last night, Pitchford tweeted again, this time asking players what part of his last tweet they didn’t understand. Despite having made it clear that he’s not in any control of the game’s sales – exclusivity or not – it would seem that fans of the series still aren’t particularly impressed, and they’ve been making their feelings known directly to Pitchford himself under that original thread (via PC Gamer). Pitchford had previously said that “I’m happy to shop in different stores”, that he’s bought games from Epic, and that “to me, exclusives are fine when they come with advantages and when they are short – say, six months” – he adds a smiley face at this point. Those first tweets came after the official Borderlands twitter account seemed to release some release info early. They were quickly deleted, but preserved through the magic of the internet: one suggests that Borderlands 3 will release on September 13, while another included a trailer that was branded with Epic Games store logos. Steam’s were notably absent. All told, it’s looking damn-near certain at this point that Borderlands 3 will come to the Epic Store and may well be exclusive there – at least for a while (say perhaps, six months). We can’t rule out a Steam release at some point in the future, and a long-term exclusive for a game as big as Borderlands 3 would be a hell of a coup for Epic. But then, the Fortnite developer has hardly been shy about pursuing just such a strategy. Broadly, the community has responded overwhelmingly negatively to other Epic store exclusivity agreements, from Metro Exodus to Satisfactory and Phoenix Point. Borderlands 3 would likely face a similar backlash. The Borderlands 3 release date has been a long time coming, and it looks like the end is finally in sight. Just be prepared for the chance it might not hit Steam.